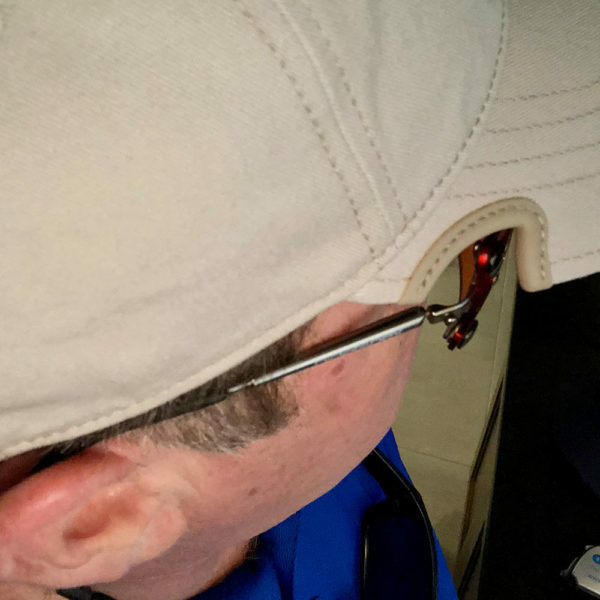 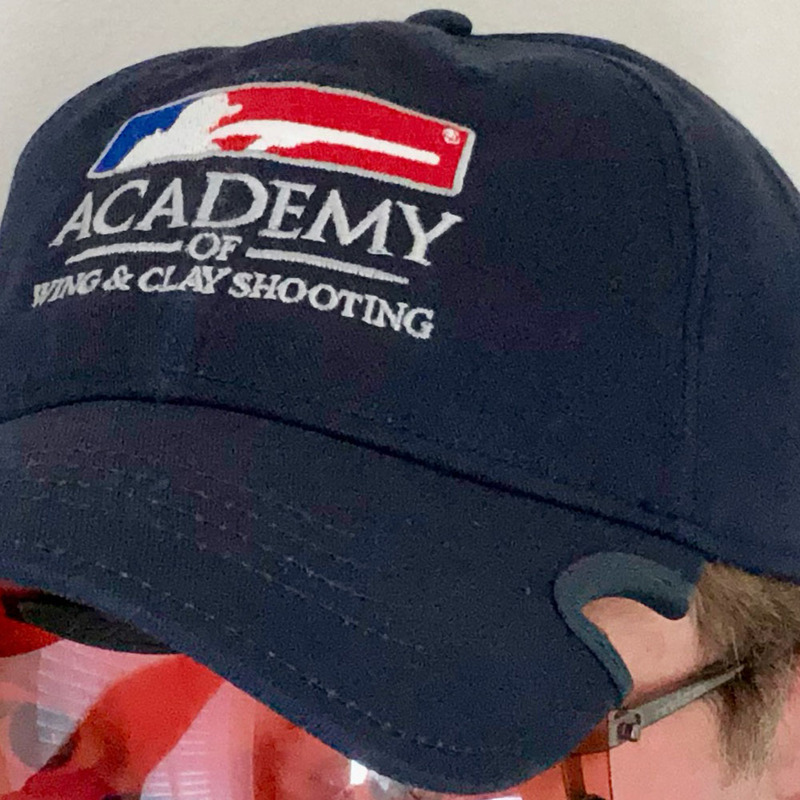 End the fight between your shooting glasses and the brim of your cap with the Notch® Cap. The patented and innovative notches on the brim of this high quality cap allow you to position your cap comfortably on your head without putting pressure on the top of your shooting classes. 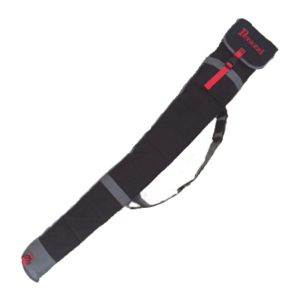 Equipped with a fully adjustable velcro strap in back. 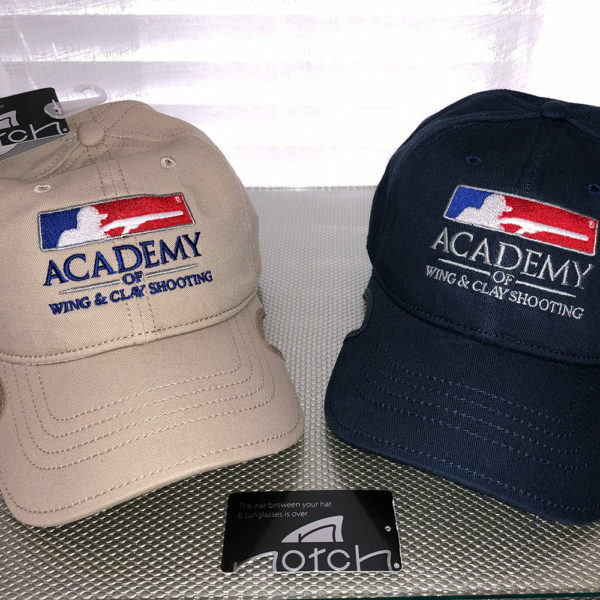 Your choice of either Navy or Stone with a richly embroidered logo of the “Academy of Wing & Clay Shooting”. Order now while supplies last.